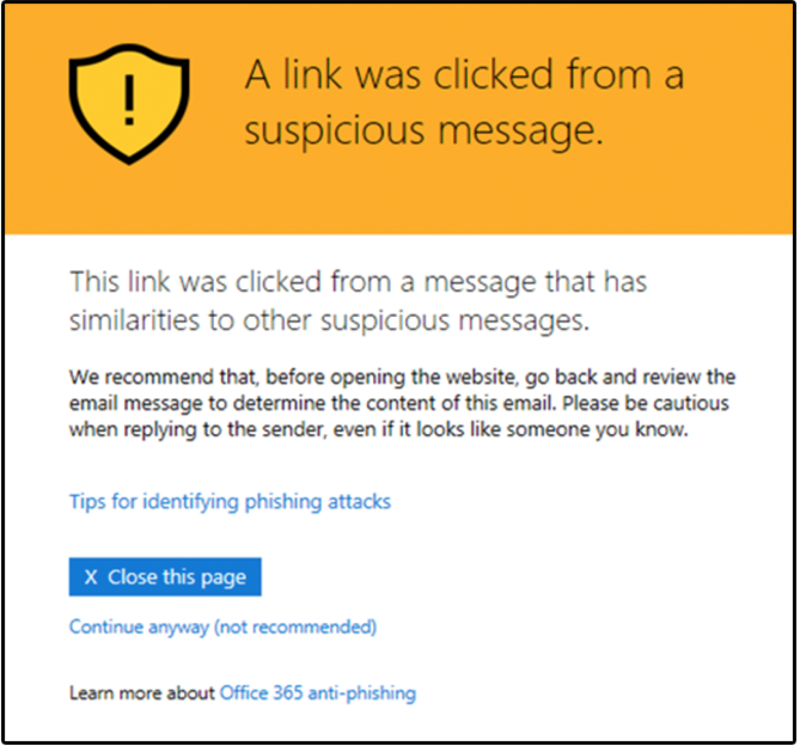 Per Microsoft, Office 365 Advanced Threat Protection (ATP) helps protect our organization from phishing attempts and malware through features, such as ATP Safe Links. 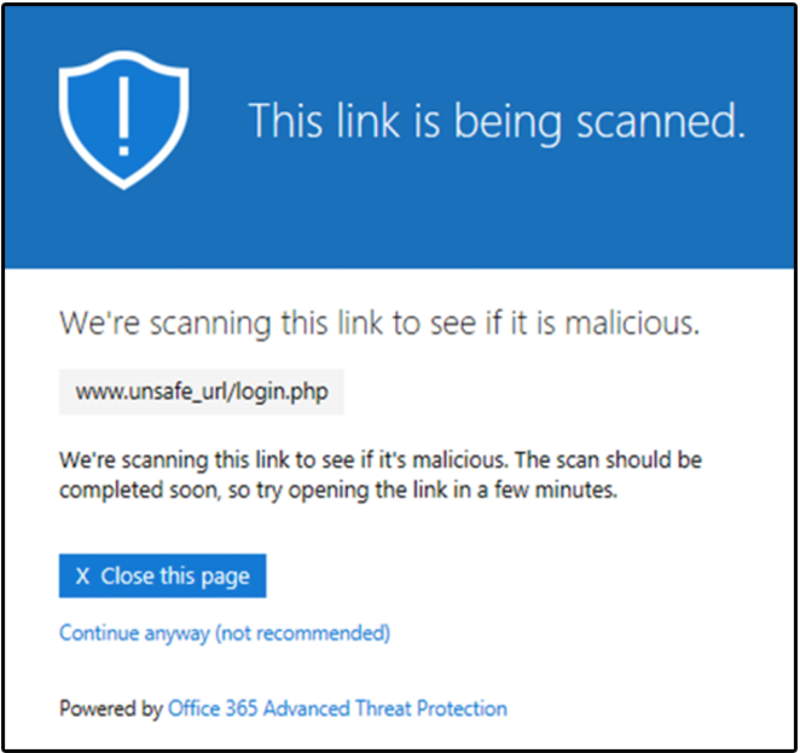 When an email is sent to you that includes a URL (a link), the URL is rewritten so that Office 365 can check the link against a list of known malicious websites at the time you click the link. 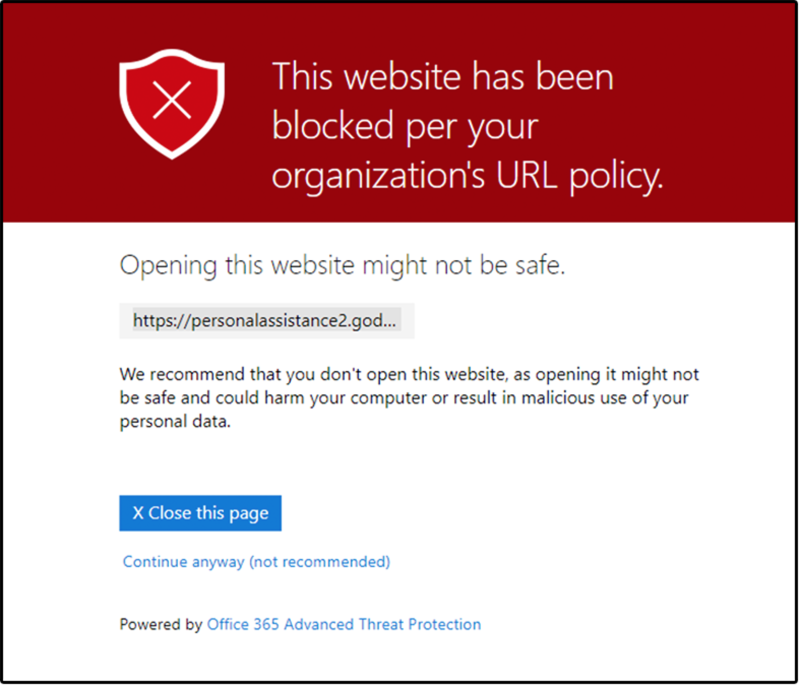 If it is found to be a known malicious site, you will be redirected to a block page, as show in the examples above. If you have any hesitation or you are suspicious of a link, please contact the Service Desk @ 425-564-4357.